10,000 tickets sold in 6 minutes for 4 recent homecoming shows. No, we’re not talking about some pre pubescent brain-child of Simon Cowell or a bunch of over hyped darlings of the indie media but a group of genuine musicians who made an electric and much awaited return to their hometown stage after an eight year hiatus. 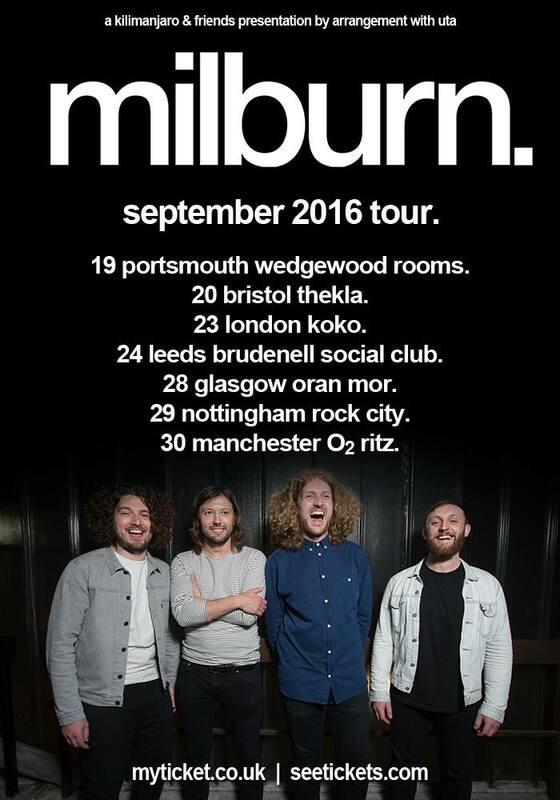 When Milburn first parted company, it seemed that they may be remembered only as an influence on more successful artists still to come – a bands band perhaps. But over time it became clear that this music would not die, stubbornly refusing to take its place in the backwaters of Spotify. Instead the songs reached a new generation; spread by chants of ‘Miiiilburn’ at other band’s gigs and a new thing called ‘Social Media’. The Courteeners, Arctic Monkeys and even a One Direction-er fell over themselves to lavish praise on the once defunct four-piece. Now the boys are back and are sounding more relevant than ever. Glasgow, Portsmouth, Melbourne – just some of the places from which fans journeyed to see this special band reunite. Now they’re repaying the favour and announcing a UK September Tour. Put the kettle on….